"Be more social" is advice that pretty much every entrepreneur gets. Have a presence on Facebook. Be active on Twitter. But does that translate into sales? It's complicated. Recent research about music sales showed a surprising social network generating an increase in sales for artists. Track plays on Last.fm, a music discovery service that has been around for more than a decade, correlate more highly to music sales than Facebook (FB) likes and Twitter follows, according to research from MusicMetric, a firm that analyzes online music. 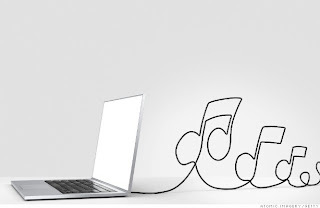 Last.fm is a so-called scrobbler, which means that a user downloads software that monitors his or her listening habits on iTunes, Spotify, Rhapsody and the like. The scrobbler records when you're listening to music and what you're listening to. (That 3AM "Call Me Maybe" repeat binge? The scrobbler knows.) The site also features a social component, where users can see musical compatibility with other users, and a radio function that's similar to Pandora (P) or Spotify radio. In other words, it's a social network for music enthusiasts. Musicmetric reports that artists have seen a decrease in growth of their fan networks across a variety of social platforms, including Facebook, Twitter and YouTube (GOOG). Facebook and Twitter have seen the most drastic slowdowns in monthly growth of likes and follows -- around 5,000 fewer a month for Facebook and 2,000 fewer for Twitter. YouTube, Myspace and Last.fm saw smaller decreases in growth. SoundCloud saw a small increase in growth. Being a "fan" of an artist online doesn't necessarily correlate with sales. Rihanna, for example, had the most fans of any artist in 2012, but she did not crack the top 10 in album sales, according to Billboard. Adele topped the sales chart in 2012, and was No. 2 on the 2012 fan list. The only other performers to appear on both lists were Justin Bieber and Taylor Swift. 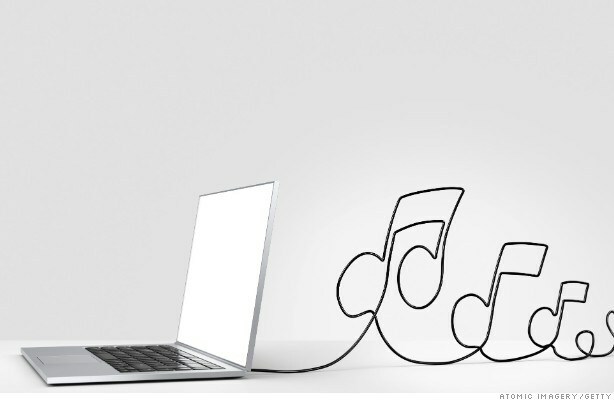 So what does that mean for online music sales? It means that artists and labels should cancel out the noise and concentrate on how they perform on certain networks. "Most of the people on SoundCloud are music fans," says MusicMetric co-founder and CEO Greg Mead. People who come to a SoundCloud or Last.fm care about music, so they're more likely to actually buy it. And legitimate sharing and streaming outlets aren't the only predictor of online sales. BitTorrent downloads also correlate to online sales more so than Facebook and Twitter likes and follows. While it's good for artists to get out there on the bigger social networks to make a name for themselves, the niche networks are where the money may actually be.